I said in a previous post that the Barbie theme for Jollibee Party is is only available up to August 15, 2013. I also said in a previous post that the Barbie theme will be replaced by the Hello Kitty theme for Jollibee party. I think that not all that I wrote came true. The reason for this is that the Barbie theme is still available for Jollibee party. Barbie theme is still available for Jollibee party. This is a good news for little girls who want to have a Barbie themed Jollibee party. It seems like the Jollibee extended the availability of this party theme because it is in great demand. Many little girls wanted to have Barbie as their Jollibee party theme. 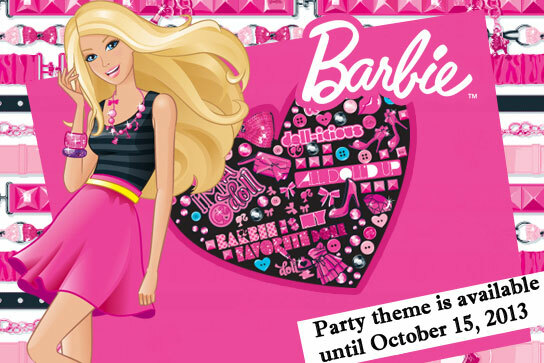 According to Jollibee Party Website, the Barbie theme is available until October 15, 2013. The Barbie party theme is still included in the selection of party themes in the Jollibee Party Website. 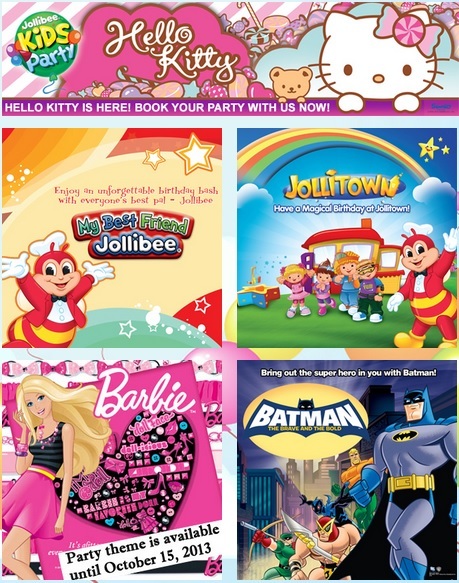 As of now, the available Jollibee party themes are: Hello Kitty, My Best Friend Jollibee, Jollitown, Barbie and Batman. So, if you are having a Jollibee party then you can try the Barbie theme before the time runs out. Remember, Barbie theme is only available until October.